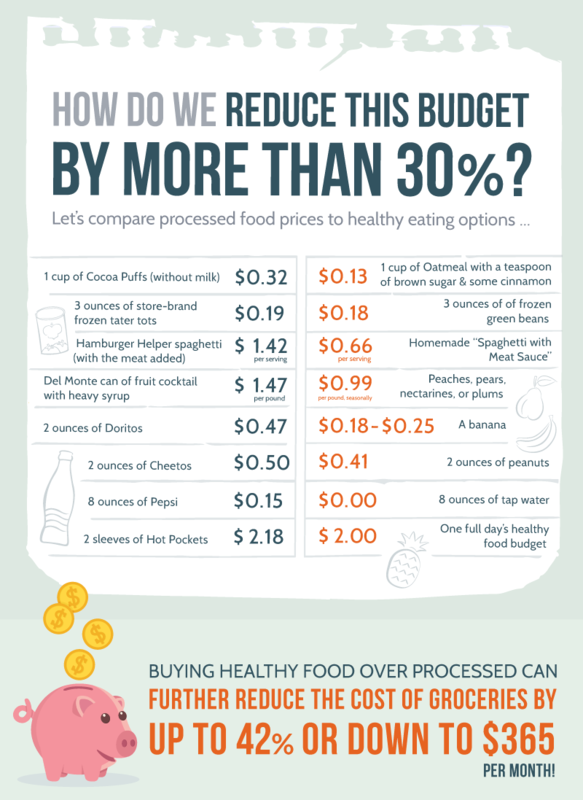 Have you ever heard people say that it’s more expensive to eat healthy food? If you believe this, when you shop for groceries, you may not even think about ways to eat healthy. Instead, you’ll probably just look for the “deals” and whatever food is quick and easy. Don’t fall into this trap. You too can eat well, without getting into debt. By eating better food, your body can be healthier; and by saving money, you'll have extra to get out of debt or save for a rainy day. 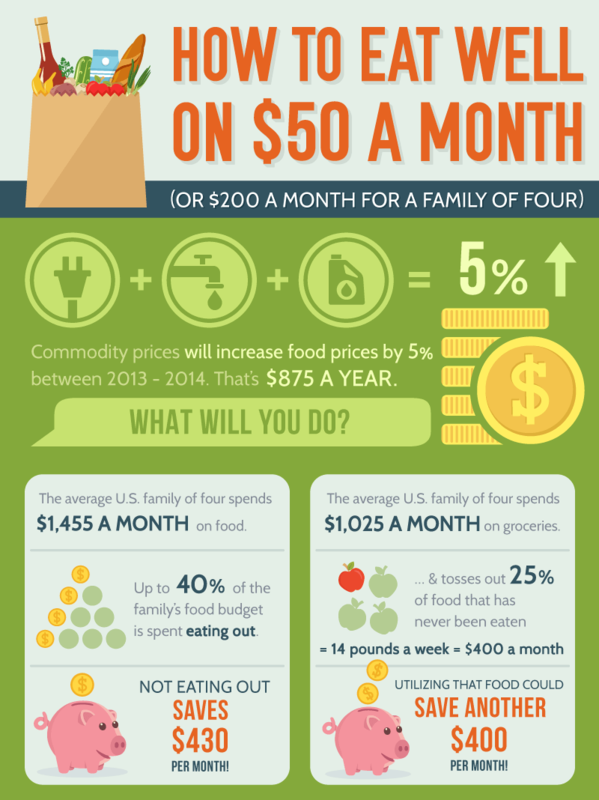 If your spending habits are like the average family's, you'll spend around $1,455 a month on food. According to NPR, that's around 15% of the average person's income. What's even worse? Many people buy food on credit, which is a bad habit for so many reasons! Just think, if you could save 30% or more of this, you wouldn't need a credit loan or debt consolidation plan. Do you know that $430 of this monthly amount is spent just on eating out? Going out is not only one of the most expensive ways to eat, it is often the unhealthiest. More calories, more fat, and more sodium, all for more money than anything you would make at home. And when using credit cards, you'll probably spend more. Cutting down on going out helps the bank account and the belly. If 40% of your budget goes to eating out, 60% is spent on groceries. Changing the way you shop for groceries is a must if you want to save. In fact, just eating the food you already bought can save up to 25%. You see, the average family throws away 25% of the food they already paid for. Remember that chicken that was on sale? Now it's taking up room in the bottom of the refrigerator. Save money by not buying something just because it's on sale. Ever thought about a garden? 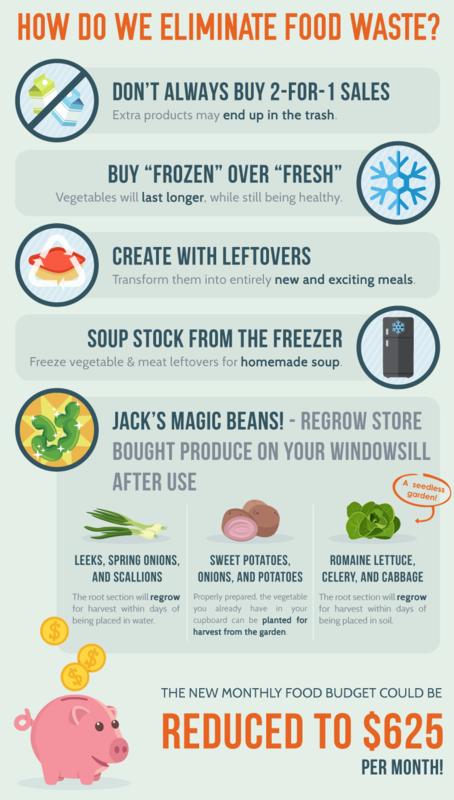 With just a windowsill, some soil, and a few containers (borrow some from your neighbors if you have to), you can grow your own vegetables. You'll eat healthier, save more, and use your credit cards less! When you do shop for your groceries, try looking for healthy alternatives to the food you eat. For example, try replacing that sugary cereal with oatmeal. Even if you add your own sugar, you'll probably use less than that box stuff, and spend less too. And that cola? Drink tap water instead. Your body needs water, not cola or other sugary drinks. You'll be surprised at how much better you'll feel. Go ahead, make a plan, set a budget, and start saving today! You'll be glad you did.